PRODUCT DESCRIPTION: Kit includes bait tube, lure tube, lure strip, plastic gloves and instructions. 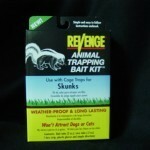 This Skunk Bait Kit is weather proof and long lasting. Specifically formulated not to attract dogs or cats, the bait will remain fresh for two weeks before any refreshing is needed. The lure is a complex blend of appealing ingredients with essential musk oils that produce a sharp sweet/sour aroma. 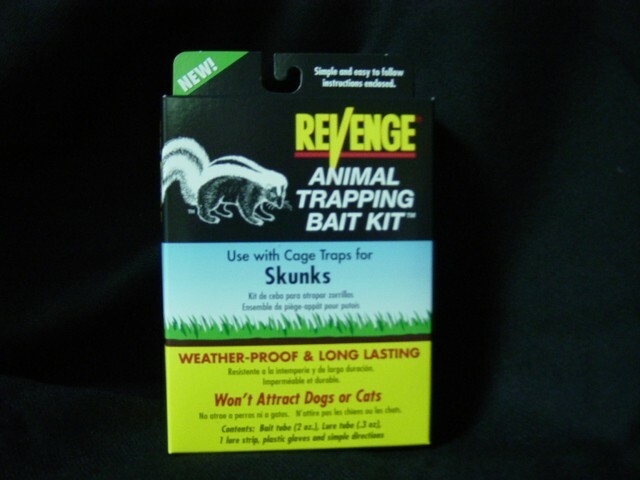 Skunks will follow this aroma right into your trap. RATE OF APPLICATION: For best results use entire kit for each set. Complete instructions are included with this kit.